Pgh Momtourage: Great (and free!) events for Martin Luther King, Jr. Day! Great (and free!) events for Martin Luther King, Jr. Day! Description: FREE admission to the Carnegie Science Center thanks to generous contributions by Duquesne Light. This day also includes free parking plus a free Omnimax film. Please see website for full details. Description: Family friendly event at the Pittsburgh Glass Center featuring glass blowing demonstrations and hands-on activities throughout the day. You can make your own bead or fused tile for $15 (but this activity is not required). Description: Free community event celebrating diversity and the power of each person to make a difference. Enjoy refreshments, ice skating, sledding, arts & crafts, snowshoeing, art projects, educational activities, Tyke Hikes & more. For more information, please visit Venture Outdoors’ website. Description: Free admission to the Auguest Wilson Center on MLK Jr. Day. Enjoy exhibition galleries, arts and crafts, movie screenings, a special performance from the August Wilson Center Dance Ensemble and more. Details can be found on the AWC website. Event: East Liberty Celebrates Martin Luther King, Jr. 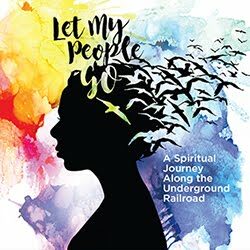 Description: The Kelly Strayhorn Theater invites you to celebrate the life and legacy of Dr. Martin Luther King, Jr. with FREE performances by local arts groups. Join them for an inter-generational showcase of Pittsburgh artists who celebrate the man who helped change America forever. Don’t forget to visit the lobby for FREE activities for kids, including arts and craftmaking. check out livingpittsburgh.com for more great events!